Looking for a hayride, but not all the itchy hay? Our wagonettes are a great way to add nostalgia and a special touch to any event. We can offer your choice of three wagonettes to better fit your theme. Click on the photos below to scroll through our gallery! Leave a Comment on Exciting new Updates! With over 30 years of experience, our staff is highly skilled and knowledgeable. 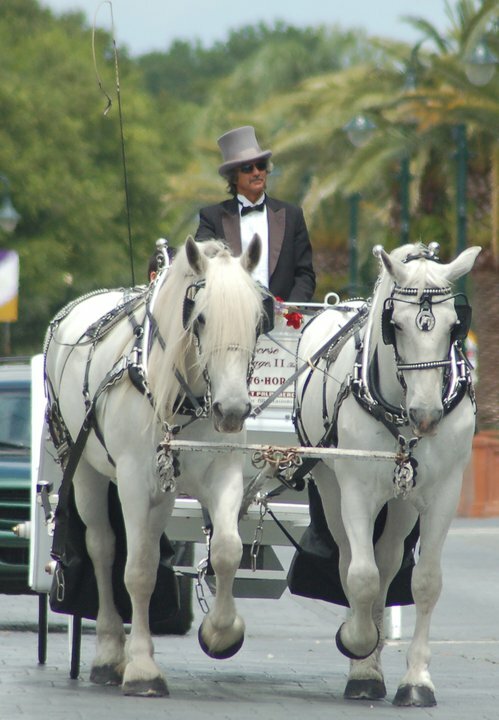 We are based out of Central Florida, and offer horse drawn carriage services throughout the state of Florida. DHC is fully licensed and insured. With a strong focus on quality and performance, safety is still our top priority. 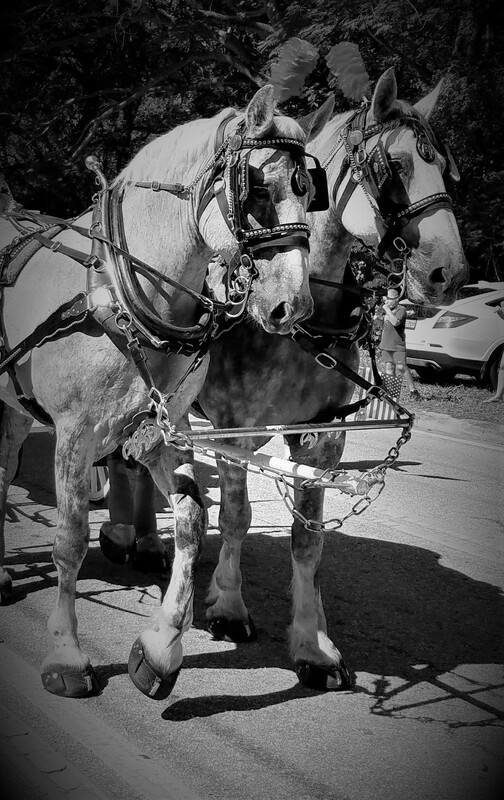 Our equipment is all quality, handmade, Amish built and includes a variety of horse drawn vehicles that are suitable for any occasion. We feature several 4 to 6 passenger vis-a-vis wedding style carriages in various colors, three wagonettes ranging in sizes from 6 passenger to 10 passenger, and three elegant fully enclosed glass hearses in black or white. We are constantly striving to provide our clients with top tier performances by upgrading or restoring our equipment. 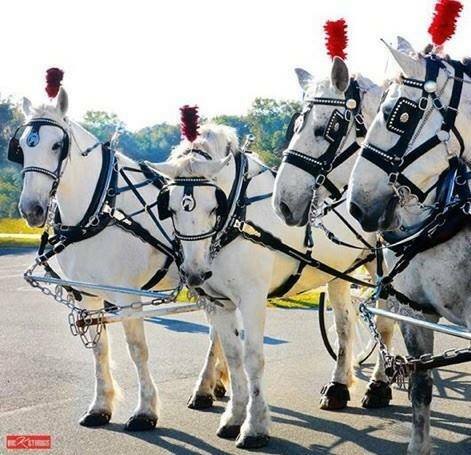 We pride ourselves in our registered show quality Percheron draft horses. Perfect for any event we offer horses in white, black, and dapple grey.